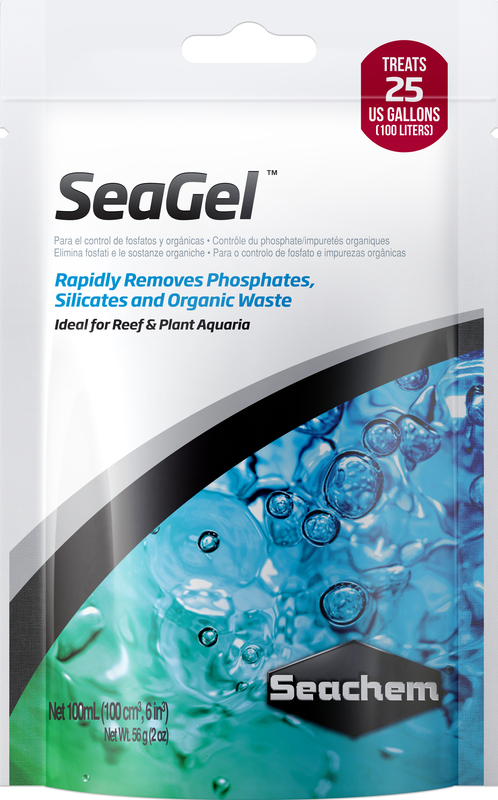 SeaGel is a blend of MatrixCarbon and PhosGuard and is is optimized specifically for aquaria where organic color body and acid removal is required without the introduction of phosphate. MatrixCarbon is an ultracapacity carbon for the removal of organic and color impurities. PhosGuard is a powerful remover of phosphate, silicate, toxic metals, and acids. Both components are bead shaped for optimum water flow characteristics and penetration. The components enhance each other and are ideal for reef and marine use. SeaGel™ may also be used in freshwater that is not phosphate buffered.